Enterprise level automation tools are claimed to be suitable for a wide range of users, including non-technical, not programming, like some testers and business analysts. To support such types of users, tools offer a variety of pre-defined, built-in components. The first problem is in availability of comparison rules. 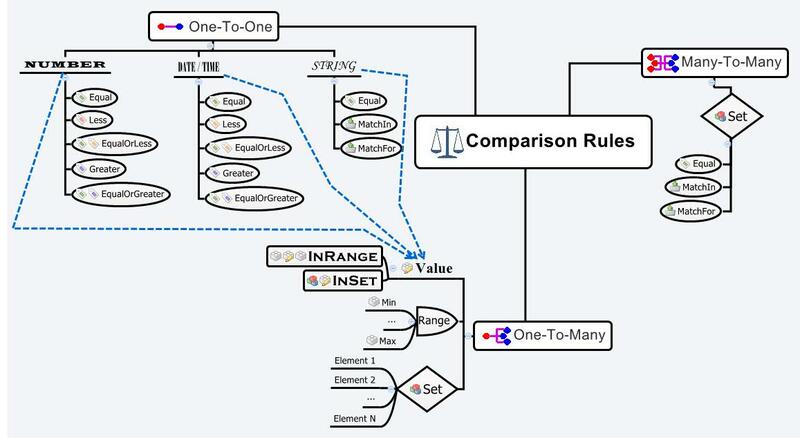 Most of the tools offer only simplistic “Is Equal” rule, and support numeric and string formats. Some, more advanced, support rules like “Less Than”, “Greater Than”. But none of them (per my knowledge, I’ve seen all from “Top 10″ chart) supports One-To-Many and Many-To-Many types of relationship in comparison. And yet these types are the most desired as they make automatic comparison much more flexible, and more realistic to the live testing performed by a qualified specialist. The second problem is test data. Numeric and string formats are not everything. At least, date/time format should be supported. Both actual result and expected result should be stored as a single, vector, or matrix values with the help of Data Model. Within the scope of this project Albert Gareev defines logic and implements extended set of comparison rules for automated checking. Source code is supplied.